Mr. Michael McCartan has been Managing Director for Europe, the Middle East and Africa at Duetto since December, 2014 where he spearheads the rollout of Duetto’s services and development of customer success teams throughout the region. He served as the Chief Executive Officer of eRevMax since March 2012, and as their Chief Operating Officer from December 1, 2010 to March 2012. He joined the eRevMax team to oversee the daily operations of the Rate Tiger and Connect brands. Prior to that he served as Vice President of Product Management at Pegasus Solutions. A specialist in software product management, business development, technical pre/post-sales and overall project management, he has over 15 years experience in the hospitality industry. He is a frequent speaker and panelist at major travel industry events across EMEA. 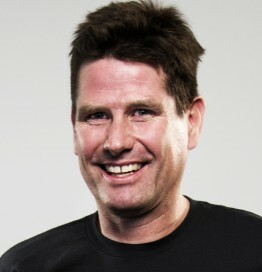 Mr. McCartan has an engineering degree from the University of Cape Town and a business degree from the Open University.